We’re ready to deliver for you. Here’s how it works. Quick & easy, set up an account so you can place orders online anytime day or night. 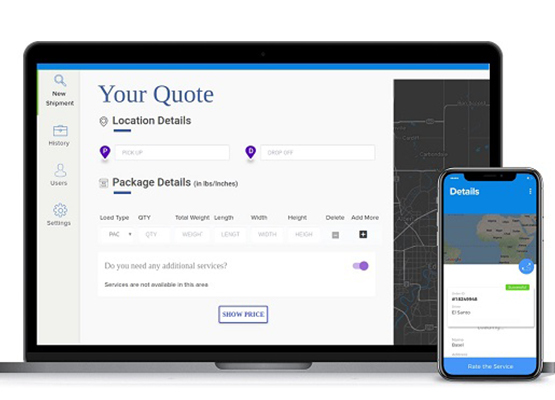 At your computer or on your tablet or phone easily schedule deliveries 24/7. One of our couriers will pick up your item(s). Large or small, we have a delivery option that will fit your needs. Online tracking included in every delivery.